Hi, all! Thanks for dropping by! Folks have left me some limerick prompts in passing, and I’ve succeeded in using most of them in this little sequence. If you don’t see yours, fear not, the second set will be along shortly. All who comment (including leaving me a prompt) get entered into the drawing for your choice of my upcoming novel, The Rare Event, due March 30th, or anything from my backlist, and a PD Singer keychain flashlight. Feel free to look around. Eric gave his beloved a rose. Staple, as a Valentine goes. And nibbled the flower where it shows! Who’d eaten the petals so scarlet. Of Bun’s thieving he gave not a sign. Would not have done that. Eric saw where Bun had a bite! If his gift is allowed to take harming. And delivered in a manner most charming. Follow the blog here to get an extra entry into the drawing. Find other participating authors here. Have fun! 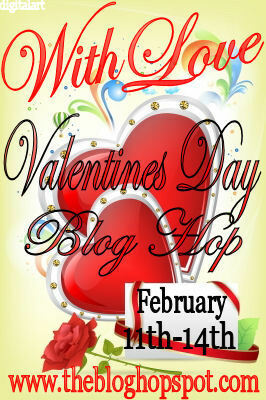 This entry was posted in Writing and tagged blog hop, limericks, terrible sight, valentine s day, valentines limericks. Bookmark the permalink. *grin* You certainly know your way around anapestic verse. I continue to be impressed. And Eric and Ned continue to thoroughly enjoy themselves. Aha.. here is where I leave my comment to be entered in the With love contest. Thanks to all who stopped by! Prompts are closed now. I’ll announce the winner in the morning.